Flexibility. ‘My pastor always told me, “Sir, never swallow a metal rod”. And, “Sir, always plan in pencil”’. (p. 39) This is a great point which could be easily supported from James 4:13-15 and illustrated from the life of Paul with his frequent changing of travel plans (e.g. Acts 16:6-8; Romans 1:13; 2 Cor. 1:15ff). Handling discouragement. 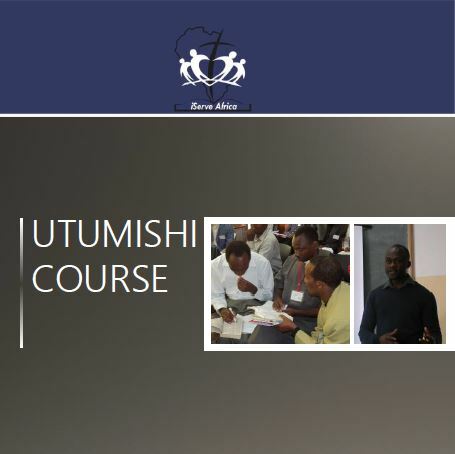 Muriithi gives three very helpful guidelines on this: (i) Encourage yourself in the Lord (e.g. as David did – 1 Sam. 30:6); (ii) Know the Word of God (e.g. as Shadrach, Meshach and Abednego did); (iii) Focus on Jesus and not issues (John 3:14-15). My main worry about this book is that it is not a great example of faithful Bible handling. It usually quotes single verses on their own and, while sometimes the context is respected and the verses are handled well, very often this is not so. Sometimes it is a case of the wrong verse for the right point, other times the poor Scripture handling takes the argument off in an unhelpful direction. I’ll give three examples. Blessings. Chapter 3 is based on Exodus 23:25: “So you shall serve the Lord your God and He will bless your bread and water and I will take away sickness from among you”. Muriithi does qualify this a little, ‘I cannot say that a servant never falls sick’ but basically applies it directly to us, ‘God provides healing for his servants’ (p. 25). If we looked at the context of Exodus 23 we’d find this is for the Israelites who are in the wilderness being prepared for life in the Promised Land and particularly for the massive temptation that there will be to conform to the religious practices of the nations and bow down to their gods. The issue here is not so much idleness versus service but demon worship versus Yahweh worship. If they chose the latter, Yahweh promises the covenant blessings (cf. Lev. 26; Deut. 28): blessed food, no illness, no miscarriage, full life, enemies fleeing, and specifically possession of the full dimensions of the Promised Land (Ex. 23:25-31). We’ve talked before about how we now have different, more wonderful New Covenant blessings, won for us in full by Jesus, secure and tasted now but only fully experienced in the New Creation. The thrust of Muriithi’s chapter is that a servant should look for this sort of divine ‘pay’ and not reward from earthly masters. But this seems to take us back into a covenant of works. Do we serve to get blessings or rather because we are already blessed with every spiritual blessing in the heavenly realms? Do we serve as a hired servant to get paid or rather as a son secure in the embrace of the Father? Sacrifice. 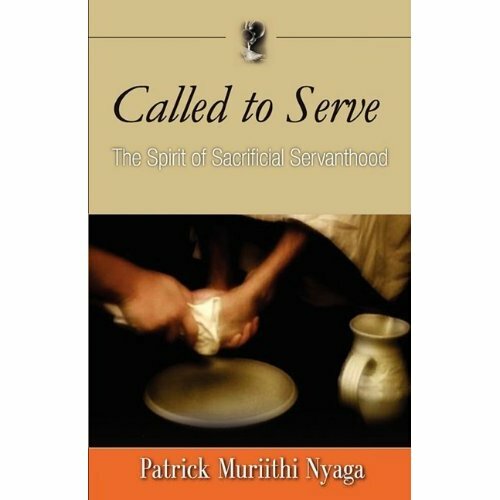 The central third of the book (p. 44-71) explores the idea of the servant as sacrifice (as in the subtitle of the book). 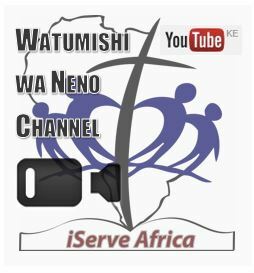 It starts with Romans 12:1, surely a very important verse which does indeed connect service/worship and sacrifice. I’d have loved a careful unpacking of Romans 12:1 in the light of the whole letter and a look at the concrete examples of sacrificial service Paul gives in Romans 12-15. But instead the author launches into a lengthy elaboration of 5 aspects of sacrifice: (a) it must be chosen; (b) it must be set apart; (c) it must die; (d) it must be burnt; (e) it must be guarded. In each case examples are given from verses from all over the Bible, not necessarily from contexts involving servanthood or sacrifice. Did Paul have in mind all (or any) of these five aspects of sacrifice when he wrote about ‘living sacrifices’? If not then the whole thing becomes rather speculative and the concept of sacrificial servanthood starts to lose its biblical moorings. I was particularly worried when we got to the last couple of sub-points – burning and guarding. Burning is said to be essential: ‘A sacrifice… must be consumed at the altar for God to accept it’ (p. 60). The consuming fire is said to be the Holy Spirit. His burning is by way of (i) destroying sin, (ii) illumination/leading (fire = light), and (iii) motivation (fire = heat). The way to receive the Holy Spirit is to (i) already be born again (!?! ); (ii) desire ‘it’; (iii) believe. (Notice the way we’re taking step after step away from Romans 12 here.) I don’t want to take on the theology of receiving the Spirit after conversion (a.k.a. second blessing, a.k.a. baptism in the Spirit) here but just want to observe that the implication of the argument is that a born again child of God could offer themselves as a living sacrifice and God would not accept the sacrifice because it has not been doused with the fire of a second-blessing spiritual experience (probably involving tongues). This directly contradicts Romans 3-8 and verses like 1 Peter 2:5 – our sacrifices are acceptable through Jesus Christ. When it comes to the last point ‘a sacrifice must be guarded’ the same objection could be made. Is it really possible that our living sacrifice could be stolen away from the altar by ‘vultures’ before God receives it? The text used to support the point – Genesis 15:11 is not even talking about a sacrifice but about a covenant-making ritual (see Jeremiah 34:18) and Abraham didn’t do a great job of guarding the carcases anyway – he fell asleep. Which is part of the point of Genesis 15, Abraham sleeps, God works; Abraham does nothing, God goes through the halved animals alone, taking all the responsibility for the covenant on himself. God is the sacrificial servant (as Paul is saying in Romans 3-4). Death. The author tells us, ‘For the fear of death make the following verses your remedy: “I will not die but live and proclaim what the Lord has done” (Psalm 118:17); “You shall live to see the children of your children” (Psalm 128:6).’ (p. 76) There’s the obvious problem here of grasping hold of ‘promises’ without respecting the contexts of the Psalms (118 is explicitly applied in the NT to Jesus and 128 is rehearsing the Old Covenant blessings). But there’s a deeper problem. Surely the remedy for the fear of death is the death and resurrection of Jesus? He has tasted death for us to remove us from that slavery (Heb. 2:14-15). He has taken the sting. He is the resurrection and the life. Surely our comfort is not that we will not physically die tomorrow – we might and we certainly will one day – but that we are united to the one who has passed through death, we are hidden on high in His indestructible life, and we will one day be raised with an indestructible body like His in which to enjoy Him forever. I guess the bigger point that comes out of each of these is – more Jesus please! He is the great sacrificial servant and I’d loved to have been given more of Him in these pages. Thanks very much for your gracious comment mchungaji. I’ll definitely look out for ‘Leadership Pitfalls’ (I expect I’ve fallen into most of them myself already!) and look forward to reading that. And do give your comments and review of any of our content here – and the new Conversation magazine out – that feedback would be much appreciated. Baraka tele.